With summer winding down, people either ramp up the activities, or savour whatever leisure time they have left. 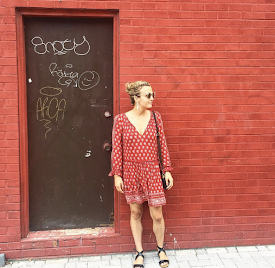 The weather seems to have an early, damp chill in the air telling us: SUMMER IS ENDING! GRAB YOUR BLANKIE! REUNITE WITH YOUR LONG LOST COUCH! Below are two books for that last summer long weekend. 1. 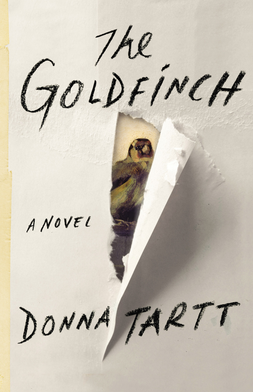 The Goldfinch - The first thought I had while starting The Goldfinch is that I never want to read anything again unless it's written by Donna Tartt. Her prose is like reading a photograph, with every square inch, colour, smell, and movement described. The premise? The story follows 13 year old Theo who survives an accident in a museum. (That is the most I'll say). I haven't finished it, but I'm taking my time (it's also 700 pages). The novel won a Pulitzer Prize for fiction, and word has it, the movie version is on its way. 2. The Vacationers - Since the sun is leaving, try The Vacationers. I started reading this book on vacation (fitting) and finished it in under a week. 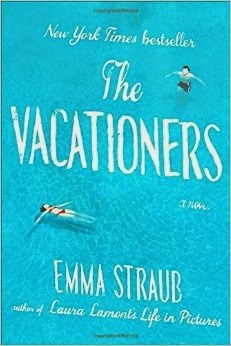 At the time, I read a lot of press about the author, Emma Straub, and was seduced by the cover of this book. The story follows The Posts, an American family trying to create some togetherness on a family trip to Mallorca, Spain. Each member has a story, a secret, and something they need to resolve. I started to empathize and care for each of the characters, always returning back to the book to see how far they've come. I am reading All the Light We Cannot See. Check it out!